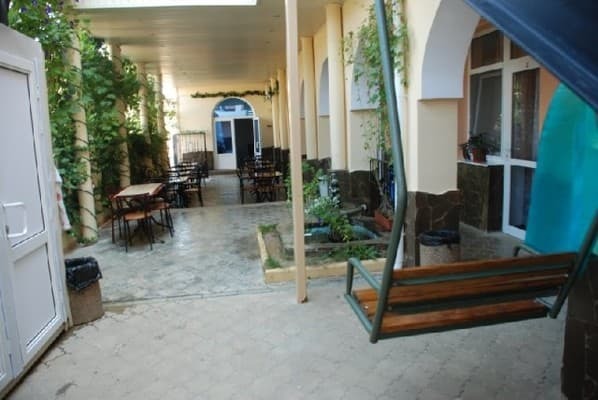 Guest house «Edem» is located in the resort village Novofedorivka, near the famous resort of Saki. Distance to the sea is 200 meters. 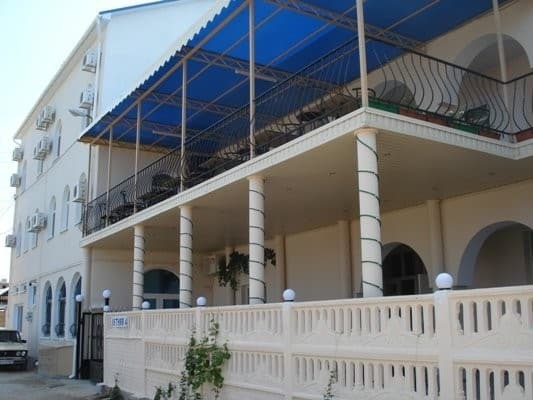 Hotel "Edem" is a modern building consisting of buildings and a separate country house. Guests are offered accommodation in rooms of different categories: Standard, Comfort, Junior Suite, Suite. All rooms are made in light pastel colors, equipped with furniture and modern appliances. 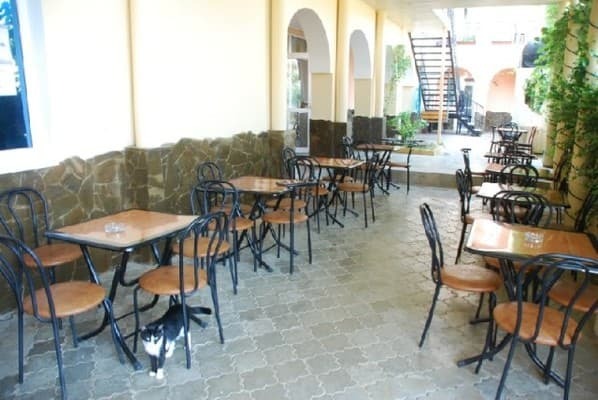 At the service of guests: Wi-Fi, barbecue, massage room, spacious dining room, where you can order a comprehensive meal. You can also visit the sauna. At the request of tourists it is possible to organize fascinating excursions to the sights of the Crimean peninsula. PRICES MAY CHANGE, YOU NEED TO RECEIVE INFORMATION FROM THE OPERATOR! 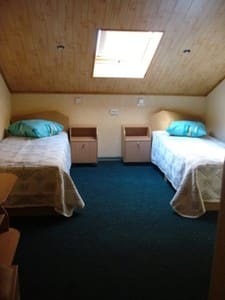 Description of the room: In a double room: two single beds, a bathroom. 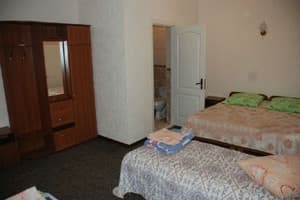 Description of the room: In a double room with partial conveniences there are two single beds, air conditioning, toilet. 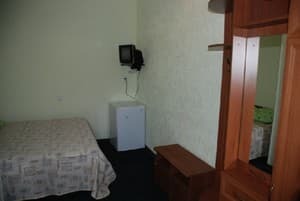 Description of the room: Comfortable triple room with good repair. 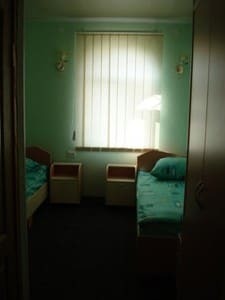 Description of the room: The room has three single beds, air conditioning. Description of the room: Junior suites are located on the 4th floor. 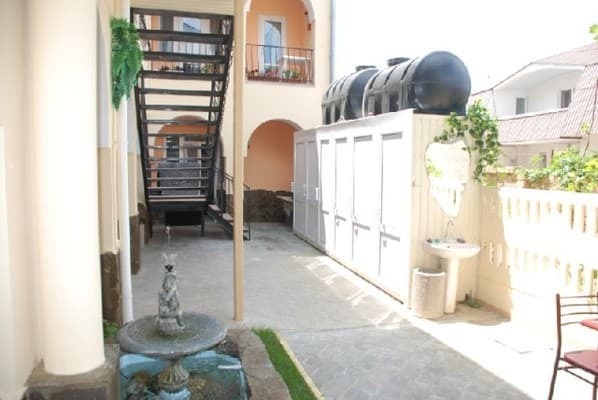 On the floor there is a shower for two rooms, as well as a kitchen. Description of the room: Comfortable four-bedded room with partial conveniences without air conditioning. 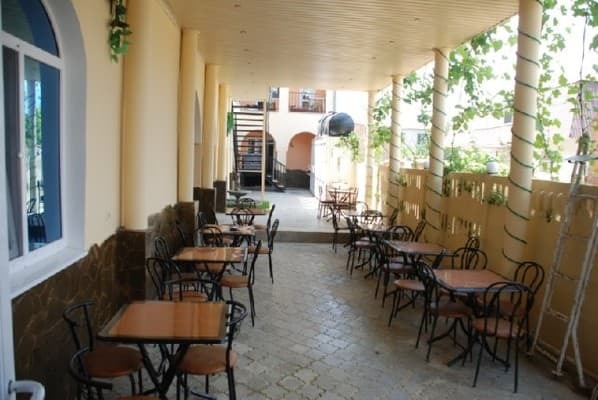 Description of the room: Comfortable room for four with partial amenities and air conditioning. 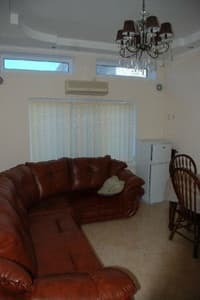 Description of the room: The suite has all the amenities, TV, refrigerator, air conditioning. Description of the room: Comfortable four-bed room with all amenities. Description of the room: The room consists of two rooms. In the room: double bed and sofa. Check arrival: from 10:00 - 11:00 hours. Check leaving: to 10:00 - 11:00 hours. Guest house «Edem» is located in the resort village Novofedorivka, near the famous resort of Saki. Distance to the sea is 200 meters, Saki - 5 km, Simferopol - 45 km. 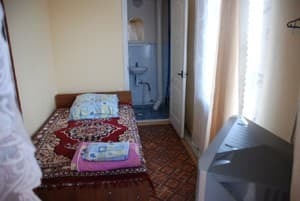 Independently to reach private apartments "Edem" it is possible from Simferopol by bus or by transfer "Simferopol-Saki". From the city of Saki by fixed-route taxi No. 21 "Saki-Novofedorivka" (garrison).